Racor RK11838 Bolt Kit ( 2 Nylock Nuts, 2 Bolts, 2 Washers) Included with bracket. The Racor RK 11815-103 Replacement Bracket is a Black colored bracket that is used for mounting the Racor Series Turbine Assemblies: 900 and 1000 for industrial type use or assemblies that have clear/ glass/ plastic bowls. 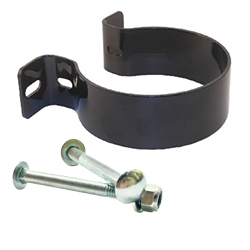 Racor RK11838 Bolt Kit ( 2 Nylock Nuts, 2 Bolts, 2 Washers) Included with bracket.